Take advantage of the economical flights offered on the internet to fly into Santorini and transfer Hi-Speed across to Amorgos in just over an hour. 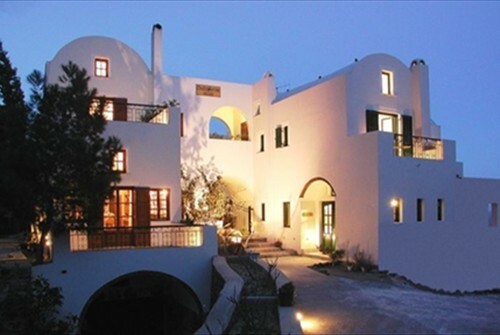 Typically you would spend one or two nights in Santorini on the way out at a family owned villa. 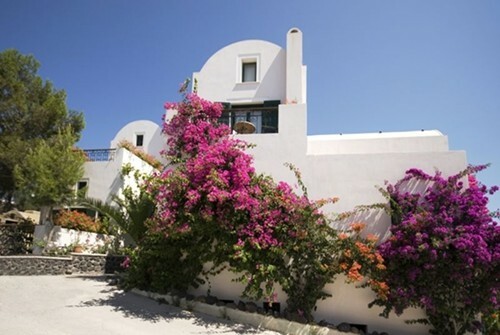 It has a sea view to the east of the island and is just 200 metres from the central square of Thira. On the return for evening flights it is usually possible to go straight from Amorgos to your flight from Santorini. The villa has just 15 rooms. Every room is unique, individually designed and decorated with no two the same. 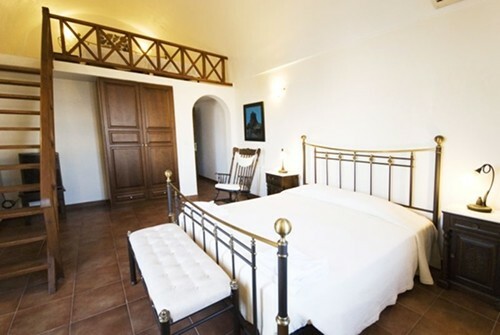 Each one is extremely special with incredible attention to detail and beautifully furnished by the owner. 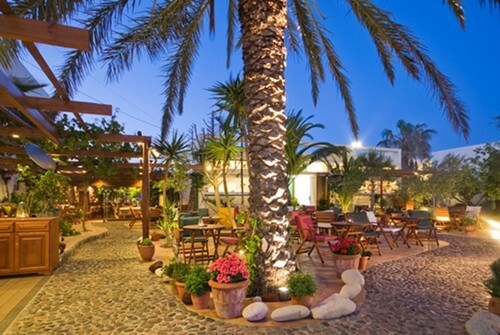 The family’s Pelican Café and Wine Garden Restaurant, just up the road from the villa, is exceptional. The menu is wide-ranging and the wines exquisite. Sit in the shade of the palm trees surrounded by flowers and enjoy some of the best cuisine to be found in Thira. 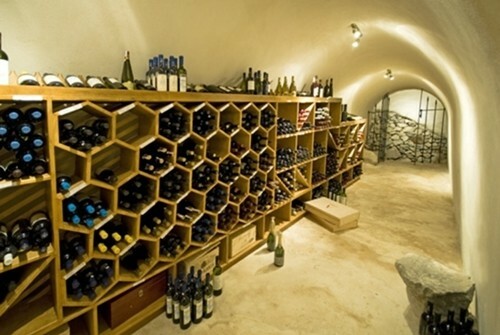 You can visit their extensive 400 year old wine cellars ten metres underground containing over 200 different wines. Contact us with your flight details and we will put together a package for you including ship transfers and accommodation. All our usual services are included. Please note that the hi-speed vessel does not operate low season or in high sea state in which case the transfer will be by Blue Star Ferries. 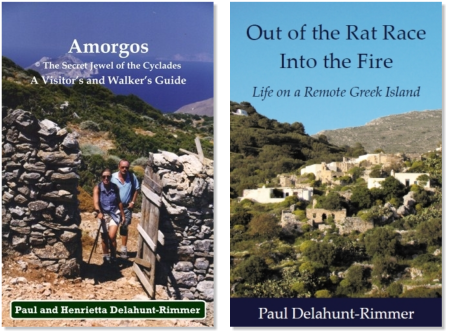 This takes just 4 hours day sailing with a short stop-over in Naxos. We will manage all this for you and monitor the weather should a last minute change be required.